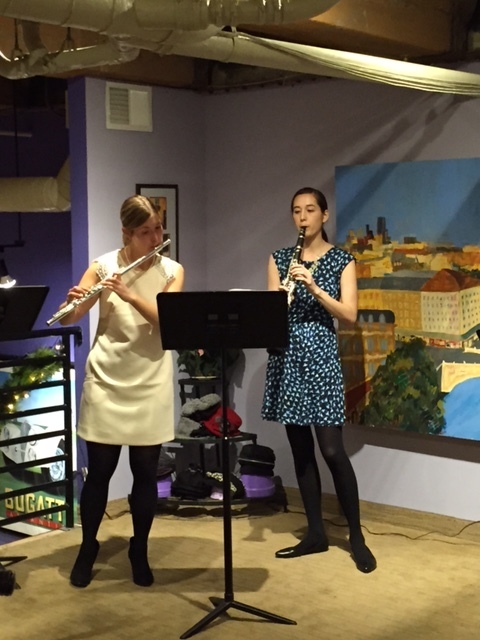 Flutist Lauren McNee and clarinetist Lisa Perry formed the Cascade Duo in the spring of 2015 with the intent of spreading their passion for music and collaboration through intimate performances and workshops. In addition to traditional recital performances, the duo regularly collaborates with local artists and businesses for special performances and presentations. Dedicated to outreach and education, the duo members frequently appear as guest artists and clinicians at public schools around the Minneapolis and St. Paul area. As advocates for new music, the duo members are regularly commissioning and performing works by Minnesota based composers on a local and national scale. Both members of the Cascade Duo have had a variety of outreach experience and love performing for and engaging with audiences of any age!